As always there’s a stack of awesome events happening around the country at the moment. Here’s our picks from July 30 – August 5, enjoy! – New Zealand International Film Festival – there’s five queer films at the festival – wahoo! Check out the selection here thanks to gaynz.com and for the full line up visit www.nzff.co.nz – it’s on in Auckland until August 5 then the festival makes its way around the country. 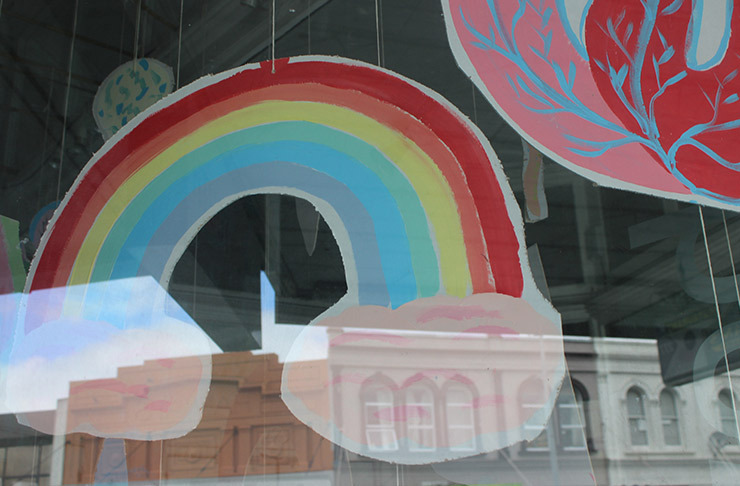 – First Thursdays – the street party is back on K Road on August 2 and is bigger and better than ever. 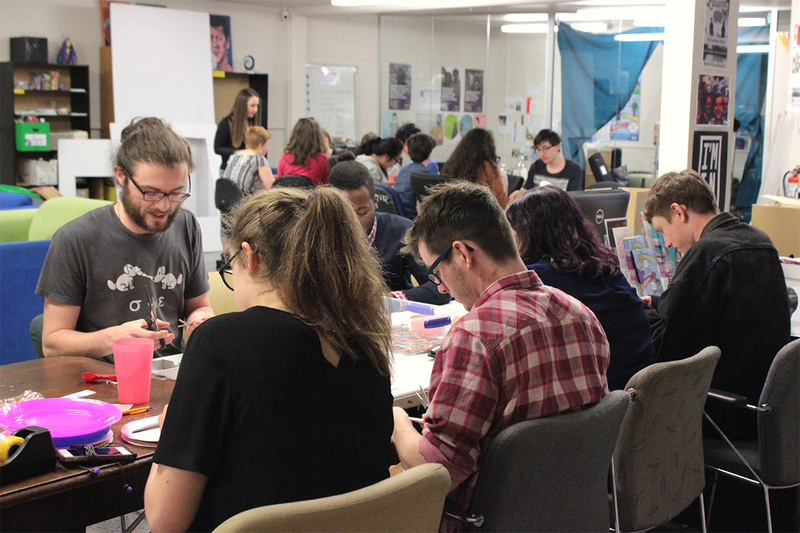 This time St Kevin’s Arcade will be devoted to Auckland Zinefest. It’ll feature AWESOME zines including Sam Orchard’s Rooster Tails – a weekly autobio comic about “a simple transguy transitioning in New Zealand” and material from Alphabet City couple Moira Clunie and Erin Fae. Visit firstthursdays.co.nz for a full event line up. – Roller Derby – Derby Baby! An exclusive Auckland screening, is on at Acadeny Cinema on August 4 at 9pm. The film explores the drama, the friendships, and the addictive nature of women’s flat-track roller derby, including never-before-seen footage of the international derby championships. Visit the website for more info about this one-off-night. 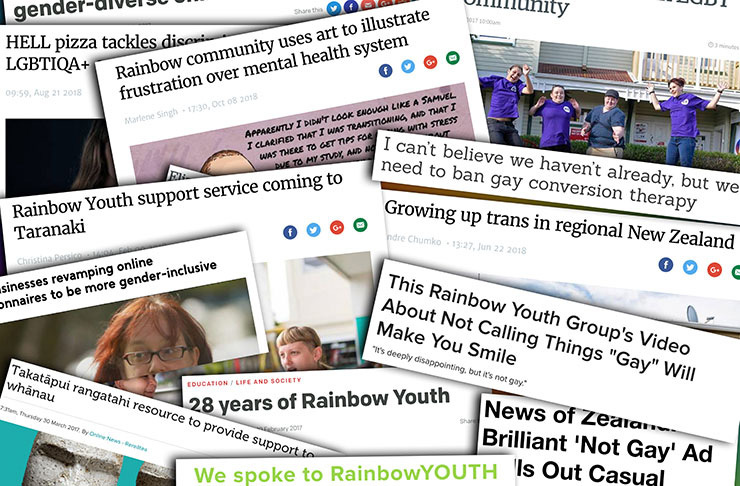 – And don’t forget to check out wtf.org.nz for the latest news on Rainbow Youth’s fab WTF campaign. 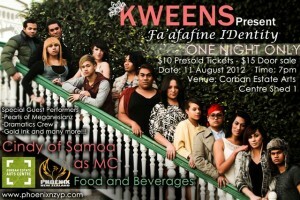 KWEENS – a show by Phoenix New Zealand. This dance extravaganza is performed by a Fa’afafine and transgender performing arts group ofmainly dancers. 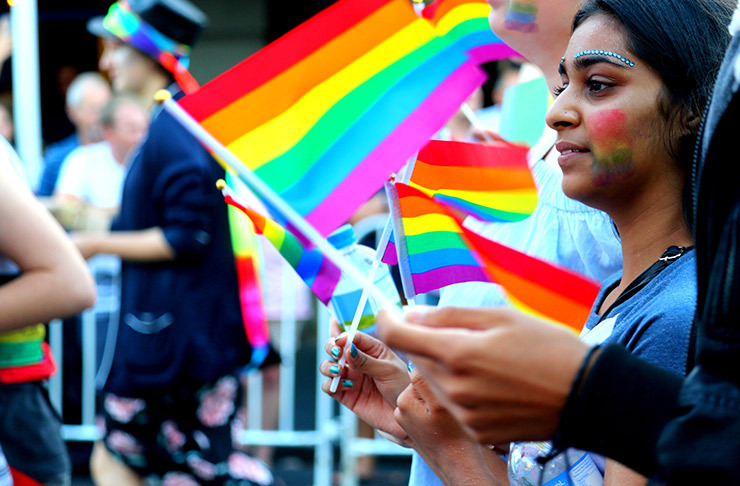 They’ll be expressing their identity through a “coming out” showcase. 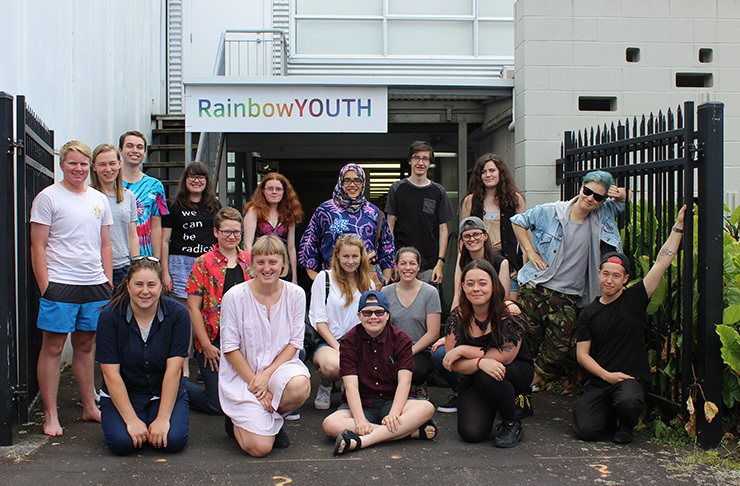 It’s shaping up to be an AWESOME event about creating awareness of who the performers are as queer and trans youth and how they can impact the community positively through performance.